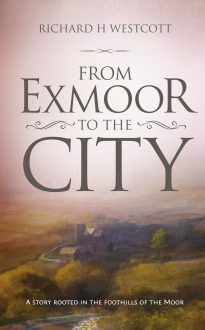 Richard Westcott has written this book to record, mainly for the benefit of the next generation, some of the history of his family and, in particular, of the struggles and difficulties his forebears encountered when living and working in the farming communities around the foothills of Exmoor in more challenging days. By collating and assembling his own and relatives’ recollections of the last century and material from local history, he has painted an intriguing portrait of 20th century life on and around Exmoor. He also tells how he left the area to further his career and became a successful city financier, while never losing contact with his West Country roots.